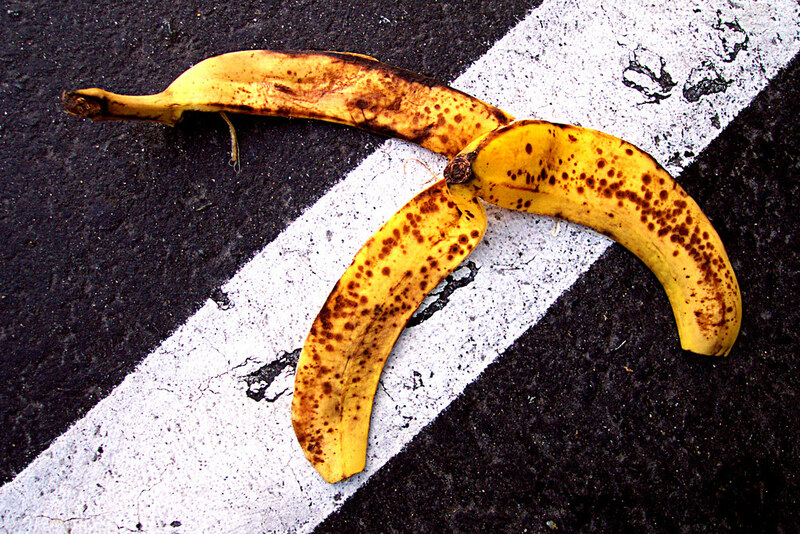 More like… Writer’s Banana Peel? Yep, that figures! While this little blog was in transition, I had so many things I wanted to blog about. I finally get it moved over to its new home (here! ), all spiffed up satisfactorily, the epic backlog of posts and photos posted, so I’m finally feeling free to blog regularly… and I suddenly have nothing to say. Then I’ll be driving to/from work, or in the shower, or something – anywhere i can’t type or write anything down – and remember everything I wanted to post, and come up with six new great ideas… but as soon as I stop the car or whatever, nothing. My mind is instantly blank, void of any eager scrap of creativity or inspiration! Of course! In the last week or so, I’ve been through this cycle so many times that I at least can remember the topics I had in mind, broadly, but still have nothing to say about them! Or I just, at that moment, think they’re incredibly stupid, uninteresting ideas no longer worthy of being bloggified. tagged: blogging on blogging, philosophy of sorts, rant, really?, reasons I need a teleporter, welcome to my brain.